Sometimes you have to boot your VMs from the command line. This can happen when you have a power failure, or possibly as part of detailed start-up/shutdown procedures. No matter the reason getting familiar with, and documenting this option is a good best practice. In fact, creating a few dummy VMs to learn this process is even better. Perform the following at either the ESXi console or via SSH Putty/xterm session. 1) To power on a VM from the command line, find the inventory ID of the VM. The first column is the VMID. Or, if you just want to list them all, use getallvms. 3) Now that you have the Vmid and know the current state, boot the VM. 4) Check the process. Note that this command will only list your started and running VMs. 4) Verify that the VM is up. Also verify on the VM Console or if Windows, RDP into the VM. 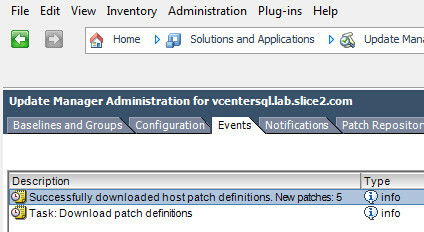 Note that if your vCenter is not up, use the vSphere Client to login directly to the ESXi Host to check the VM console. 1) Get the Vmid from the output of getallvms. 2) Using the Vmid of the above command for the VM you want to control, choose the command below based on the action you want to take (reboot, shutdown or reset). A new VMware Fling was release a few weeks ago and I missed it. You can now install VMware tools in your nested ESXi Hosts. It works with nested ESXi running 5.0, 5.1 or 5.5. I’m running 5.1u1 (1312873) with nested 5.1u1 for this post and it works great. I suppose this works with VMWare Workstation 10 but I haven’t tried it. The Fling, or tools can be downloaded here. 1) Login to the ESXi console and enable SSH or the ESXi Shell. a) In vCenter, open a console on the nested ESXi VM. b) Press F2 and login as root. c) Scroll down to Troubleshooting Options and press Enter. d) Select either Enable SSH (prefered) or Enable ESXi Shell and press Enter to enable. e) If SSH, launch Putty or an Xterm and login as root. If ESXi Shell, press ALT+F1 and login as root at the console. Press ALT+F2 to get back to the ESXi DCUI. 2) Whether you logged into the Host with SSH or at the console, place the ESXi Host in maintenance mode. Now, verify Maintenence Mode is enabled. 3) Launch vSphere Client and connect directly to the nested ESXi host as root. a) On the Configuration tab , select Storage. Right-click the local datastore and select Browse datastore. b) Click the Upload A File icon and select the esx-tools-for-esxi-9.7.0-0.0.00000.i386.vib file and click Open. 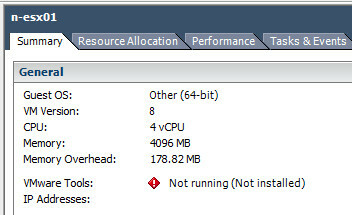 c) When done, close out of the vSphere client session. 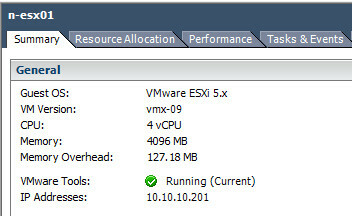 4) Back in the ESXi Host, change to the volume (datastore) where you placed the VIB. 5) Reboot the Host and set the reason for the reboot action. 6) In vCenter (Web or vSphere client), check the Summary page for the nested ESXi Host. 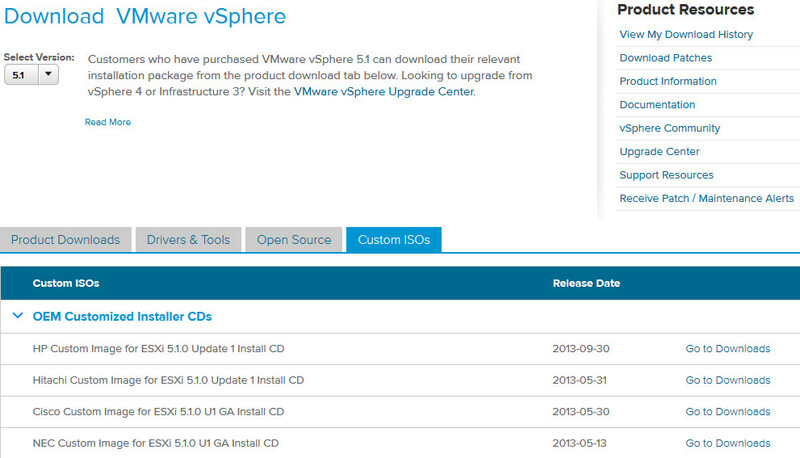 Is should now show VMware tools installed and current. Reference images are shown below.